Almost always listed as "C.L." 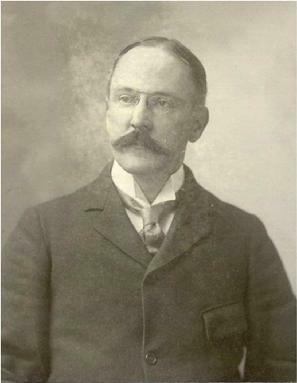 Charles Lewis Timmerman is described as "one of the empire builders of the Northwest." He was instrumental in the establishment of the Morton County Fair association, Mandan's first hospital and a Federal Agricultural Research Station in rural Mandan. Oldest son to a wharf keeper J.A. Timmerman, Charles Louis was born in Bremerhaven, Germany on 4 March 1860. His mother died while he was still an infant. His father remarried soon afterward. In total, C.L. had one full brother August, two half-brothers and three half-sisters. Charles Lewis was educated in the German public school system. In 1874 at the age of 14, he would immigrate to the United States with his full-brother August and half-siblings Henry and sister Mary (Mrs. Martin Larson). While his eldest brother Henry would remain in the New England area to manage a lumberyard, C.L. moved to Baltimore, MD and worked in a grocery store. At the age of 23, he "came west" with many men his age and again found work as a groceryman for a couple of years in Omaha.In 1883, he moved to Mandan in Dakota Territory where he found employment with the Northern Pacific Railway as clerk and later weighmaster. After a labor strike at the railroad's subsidiary Northern Pacific Coal Company at Timberline, MT (which gained national attention over the workers' right to organize), C.L. was appointed paymaster when the mine reopened in 1886. He remained there until 1888. His younger brother August joined him in Montana in August 1887. In 1888, the two would move to Dakota Territory where C.L. would find employment with the coal company's other mine in Sims, Dakota. August would establish a sheep ranch in what today is Oliver County near the town of Center. In about 1891, the brothers sold the ranch in Oliver County. C.L. leveraged his accounting experience by providing bookkeeping services to Fred Meyer who owned the general merchandise store in Sims, ND. In 1889, they purchased the store and August would operate it until 1894. 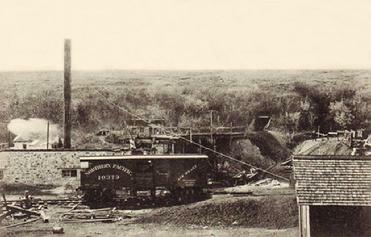 After Sim's coal-brick boom went bust, they would move the business to Almont. 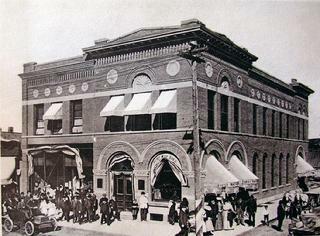 The brothers sold the store in 1911 and August moved his family to Mandan. C.L. established the Dogtooth Ranch in 1896 near today's city of Raleigh on the "south branch" of the NP Railway Line out of Mandan. He owned sections 9 & 17 in township 153N range 83W while his brother August owned section 11 in township 183N range 86W. In 1904, C.L. sold these lands to settlers. He was an enthusiastic dairy farmer, and encouraged area farmers to be a stockman. He established creameries and helped them get underway. Timmerman acquired other holdings throughout Oliver and Mercer as well as Morton Mounty, and at the time of his death was the owner of almost 4,000 acres of farming land and 32,000 head of cattle. About 1200 acres was the great ranch 12 miles north of Mandan, Near Harmon known as the Timmerman Ranch. He was treasurer of the great Mercer County Land Company, which he helped to found, and which brought hundreds of settlers and put them on lands bought out of the NP land grant. He was also treasurer of the Morton County Land Company. At the time of his death, his personal assets were estimated to be worth upwards of $200,000 ($4.3 million in 2010). The Mercer County Land Company placed settlers on Northern Pacific Railway lands along it's "north branch." He also aided the Northern Pacific Railway in securing the right-of-way for the north and south branch lines out of Mandan. In 1894, be became associated with H.R. Lyon in the First National Bank of Mandan. He supervised these banks for seventeen years and included banks at New Salem, Hebron, Glen Ullin, Flasher, Elgin and Golden Valley. C.L. served as bank President of the New Salem State Bank, Hebron State Bank and Oliver County Bank and Shanley State Bank. He was Vice-President to First State Bank at Almont, Merchants State Bank of Glen Ullin, Richardton State Bank, and the First National Bank at Mandan. C.L. was also president of the first creameries at Hannover and Blue Grass. He was also a Director of the Morton County Fair Association and the Mandan Hospital. In his pioneer days in Sims, he was a Justice of the Peace, the only representative of the strong arm of the law in the region of Dakota territory. It was the only government-related position he ever sought or held. In 1904, a committee of three consisting of A.E. Thorberg, J.R. Clark and C.L. Timmerman lobbied the US Congress to establish an Indian School in Mandan. Though unsuccessful, better success was met with with efforts to have a federal agricultural station established here. 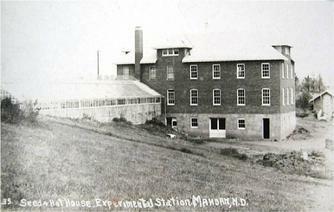 Final government sanction for the facility occurred in August 1912. His credit for the project ranks second only to that of A.E. Thorberg's efforts. C.L. 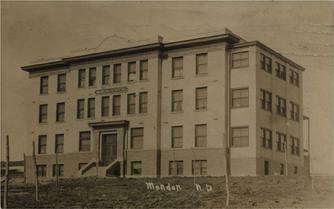 was a founding member of the Mandan Commercial Club. He was the force behind the Missouri Slope Development League, which was an extended commercial club. However it folded after a few years of life, likely due to Timmerman's diverted attention to his failing health. He claimed membership in the Republican Party and listed his religion as Protestant. He was member of at least two fraternal organizations; the Knights Pythias and Royal Arcanum. His health began a slow decline in 1913. Timmerman left Mandan in January 1914 for an extended tour of the southern US. After spending a couple of months in San Antonio, Tx in May he traveled to Minneapolis and spent several weeks at the Hiram Lyon summer home on the lakes. But when his condition deteriorated, he was returned to Mandan in July 1914. He died on 1 August 1914 at the age of 54. The funeral was held at the first Presbyterian church at a well attended service officated by Rev T.A. McCurdy. He is buried at the Union Cemetery in Mandan, ND. Notes: The 1910 US census records show a 24-year old Anna Timmerman living in Sims as a single head of household and working as a saleswoman in a general merchandise store. She was born in the US in 1886 the same year Timmerman left Mandan for Timberline, MT. The record indicates she was born in North Dakota from a father of German descent and a mother of Norwegian descent. She was not associated with August Timmerman's household. However attempts to date have been unable to link her directly to C.L. Timmerman.